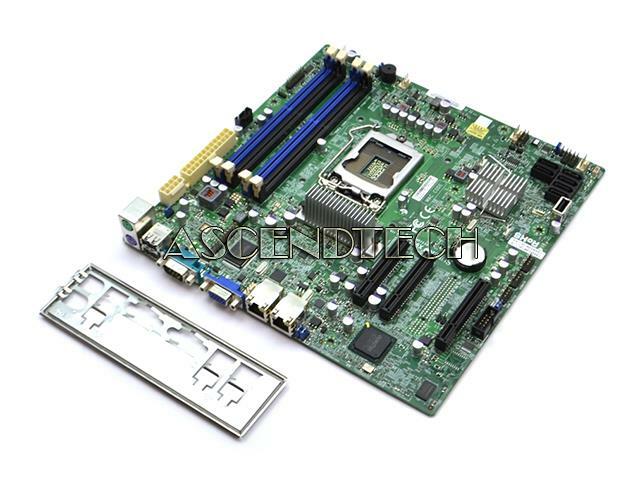 SuperMicro - Intel L3400 Supermicro Intel Xeon X3400 L3400 Socket LGA1156 Motherboard X8SIL. 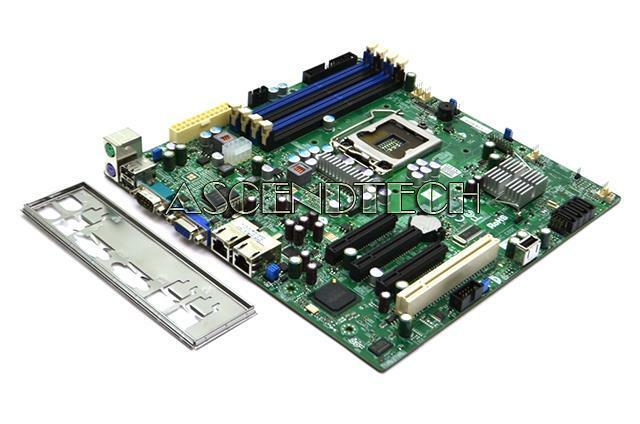 SuperMicro - Intel l3400 Supermicro Intel Xeon X3400 L3400 Socket LGA1156 DDR3 Server Motherboard X8SIL. 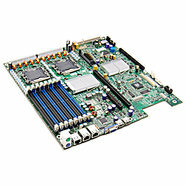 SuperMicro - X8SIL SuperMicro X8SIL Intel Xeon X3400 L3400 Socket LGA1156 DDR3 Micro ATX Motherboard. Dell - HN016 Dell EMC CX3-40 Series 4GB Memory and 2 Intel Xeon Processor LV 2.80GHz CPU Module Motherboard HN016 0HN016 CN-0HN016. 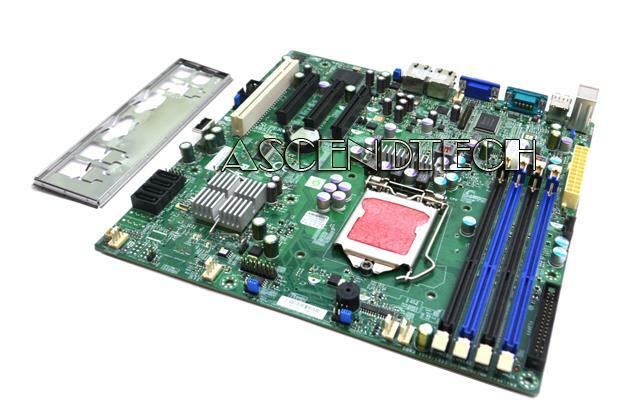 Dell - PowerEdge 6800 6850 Dell PowerEdge 6800 6850 Series Intel Xeon Server Motherboard WC983 0WC983 CN-0WC983. Dell - F1667 DELL - DUAL XEON SYSTEM BOARD FOR POWEREDGE 1850(F1667). REFURBISHED. IN STOCK. SHIP SAME DAY. Dell - RC130 DELL - DUAL XEON SYSTEM BOARD FOR POWEREDGE 1850(RC130). REFURBISHED. IN STOCK. SHIP SAME DAY. Dell - C8306 DELL - DUAL XEON SYSTEM BOARD FOR POWEREDGE 2800/2850(C8306).REFURBISHED. IN STOCK . SHIP SAME DAY. 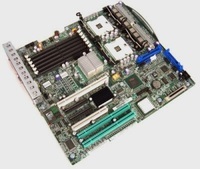 SuperMicro - X9SCL LGA1155 SuperMicro X9SCL REV:1.11A Intel Xeon processor E3-1200 & v2 series Intel 2nd Gen and 3rd Gen Core i3 Intel Pentium and Celeron processors Socket H2 (LGA1155) uATX Motherboard. Dell - D8266 DELL - DUAL XEON SYSTEM BOARD FOR POWEREDGE 1850 SERVER (D8266). NEW BULK. IN STOCK. SHIP SAME DAY. Dell - T7971 DELL - 800MHZ FSB DUAL XEON SYSTEM BOARD FOR POWEREDGE 2800/2850(T7971). REFURBISHED. IN STOCK. SHIP SAME DAY. Dell - 6X871 DELL - DUAL XEON SYSTEM BOARD FOR POWEREDGE 2600(6X871). REFURBISHED. IN STOCK. SHIP SAME DAY. Dell - MG022 DELL- DUAL XEON SYSTEM BOARD FOR PRECISION 670 WORKSTATION PC (MG022). REFURBISHED. IN STOCK. SHIP SAME DAY. 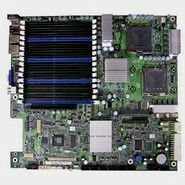 Dell - 9N167 DELL - DUAL XEON SYSTEM BOARD FOR PRECISION 450(9N167). REFURBISHED. IN STOCK. SHIP SAME DAY. 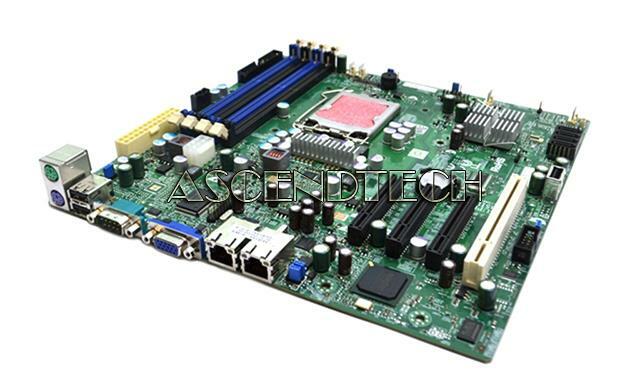 Dell - HH715 DELL- DUAL XEON SOCKET 604 800MHZ SYSTEM BOARD FOR POWEREDGE 2800/2850 V3 (HH715). REFURBISHED. IN STOCK. SHIP SAME DAY. 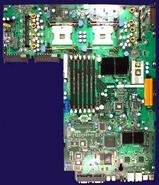 Compaq - 409646-001 HP/COMPAQ - DUAL XEON 800MHZ FSB SYSTEM BOARD FOR WORKSTATION XW6200(409646-001). REFURBISHED. IN STOCK. SHIP SAME DAY. Dell - X0392 DELL - DUAL XEON SYSTEM BOARD FOR PRECISION 670(X0392). REFURBISHED. IN STOCK. SHIP SAME DAY. 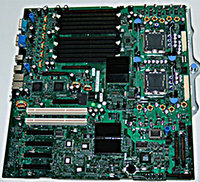 Dell - NJ023 DELL - DUAL XEON SYSTEM BOARD FOR POWEREDGE 2800/2850 SERVER (NJ023). REFURBISHED. IN STOCK. SHIP SAME DAY. 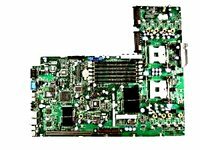 Hewlett Packard - 350447-001 HP/COMPAQ - 800MHZ FSB DUAL XEON SYSTEM BOARD FOR WORKSTATION XW6200(350447-001). REFURBISHED. IN STOCK. SHIP SAME DAY. Dell - XC838 DELL - DUAL XEON SYSTEM BOARD FOR PRECISION WORKSTATION 470(XC838). REFURBISHED. IN STOCK. SHIP SAME DAY. Dell - C9316 DELL - DUAL XEON SYSTEM BOARD FOR PRECISION 470(C9316). REFURBISHED. IN STOCK. SHIP SAME DAY. Dell - J1947 DELL - DUAL XEON SYSTEM BOARD 533MHZ FSB FOR POWEREDGE 2650 SERVER (J1947). REFURBISHED. IN STOCK. SHIP SAME DAY. Dell - KG051 DELL- DUAL XEON SYSTEM BOARD FOR PRECISION 470 WORKSTATION PC (KG051). REFURBISHED. IN STOCK. SHIP SAME DAY. 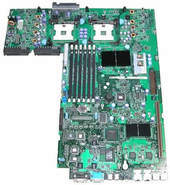 Compaq - 409682-001 HP/COMPAQ - SYSTEM BOARD SUPPORTS INTEL XEON PROCESSOR FOR PROLIANT ML350 G4(409682-001). REFURBISHED.IN STOCK. SHIP SAME DAY. Dell - T0820 DELL - DUAL XEON SYSTEM BOARD FOR PRECISION 470(T0820). REFURBISHED. IN STOCK. SHIP SAME DAY. Intel - S5000XALR INTEL- S5000XALR SSI TEB DUAL XEON SERVER BOARD SOCKET 771 1333 MHZ FSB 32GB (MAX) DDR2 SDRAM SUPPORT (S5000XALR). NEW BULK. IN STOCK. SHIP SAME DAY. Dell - F1262 DELL - DUAL XEON SYSTEM BOARD FOR PRECISION 650(F1262). REFURBISHED. IN STOCK. SHIP SAME DAY. 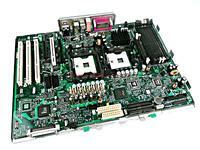 Hewlett Packard - 432224-001 HP/COMPAQ- XW6400 DUAL CPU XEON 1066MHZ WOODCREST SYSTEM BOARD (432224-001). NEW BULK. IN STOCK. SHIP SAME DAY. 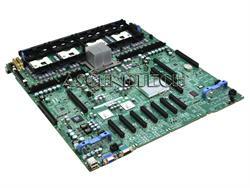 Dell - NJ022 DELL- DUAL XEON SERVER BOARD INTEL E7520 CHIPSET FOR POWEREDGE 2800/2850 (NJ022). REFURBISHED. IN STOCK. SHIP SAME DAY. Dell - X7500 DELL- DUAL XEON SYSTEM BOARD FOR POWEREDGE 1800 V3 SERVER (X7500). REFURBISHED. IN STOCK. SHIP SAME DAY. 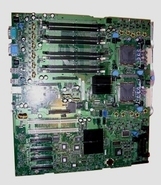 Hewlett Packard - 442028-001 HP/COMPAQ - DUAL XEON SYSTEM BOARD FOR XW8400 WORKSTATION (442028-001). NEW BULK . IN STOCK. SHIP SAME DAY. Dell - NF911 DELL- DUAL CORE XEON MOTHERBOARD FOR POWEREDGE 1900 SERVER (NF911). REFURBISHED. IN STOCK. SHIP SAME DAY. Intel - S5000PSLSATAR INTEL- SSI EEB DUAL XEON SERVER BOARD SOCKET 771 1333MHZ FSB 32GB (MAX) DDR2 SDRAM SUPPORT ON-BOARD VIDEO 6 SATA (S5000PSLSATAR). REFURBISHED. IN STOCK. SHIP SAME DAY. Dell - GC075 DELL - DUAL XEON SYSTEM BOARD FOR POWEREDGE 1800 SERVER(GC075). REFURBISHED. IN STOCK. SHIP SAME DAY. Dell - NK937 DELL - DUAL XEON SERVER BOARD FOR POWEREDGE 1950 SERVER (NK937). REFURBISHED. IN STOCK. SHIP SAME DAY.
. - AsRock Rack EP2C602-4L/D16 SSI EEB Server Motherboard Dual LGA 2011 Intel C602 DDR3 1866 / 1600 / 1333 / 1066 R / LR ECC and UDIMM CPU Type: Intel Xeon processor E5-1600* / 2600 / 4600 & v2 series E5-1600 supports single socket. Compaq - 350447-001 XW6200 SYSTEM BOARD PN: 350447-001. FOR USE WITH XEON 800MHZ FRONT SIDE BUS PROCESSORS (NEITHER PROCESSOR INCLUDED). 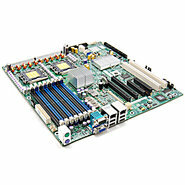 Intel - S5400SF INTEL- SSI TEB DUAL XEON SERVER BOARD LGA 771 SOCKET 64GB (MAX) DDR2 SDRAM SUPPORT (S5400SF). REFURBISHED. IN STOCK. SHIP SAME DAY. Compaq - 350446-001 xw8200 system board. For use with Xeon 800MHz front side bus processors (neither processor included). 350446-001 or 409647-001. 347241-004.